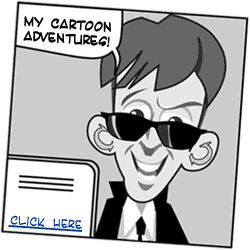 As an active secret agent, he has travelled around the world, finding out all the stuff our enenmies are up to. But in this day and age, it's as important to share knowledge as it is to get intel. So we decided to make him the editor of this web site. His wealth of knowledge on spying is fantastic, so this assignment really fits him well. The rest of the file is CONFIDENTIAL, only accessible for T.S.S. personnel of level "HIGHLY CONFIDENTIAL" or higher. The public part of this profile is also published on Mister E's G+.